The Molotow is a music club founded in 1990 in the Hamburg district of St. Pauli. The club is a cosy location for the best indie rock in town! Located directly next to the Reeperbahn, the basement promises great bands with great atmosphere. The Molotow regularly hosts concerts of bands from different musical genres such as indie, punk, post-rock and poetry slams, parties from the rock, pop and electronic world as well as other events. 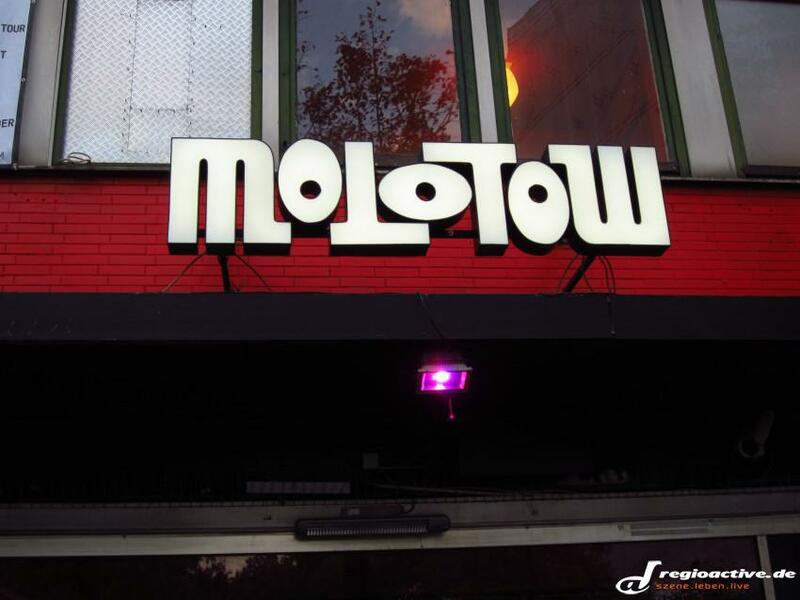 The Molotov is also one of the clubs where the Reeperbahnfestival takes place. The venue is the Molotov's cellar, which can accommodate about 300 people. Among the bands that have played in Molotov - often before their commercial breakthrough - are The White Stripes, Die Toten Hosen, The Hives, Bright Eyes, Wir sind Helden, Mando Diao and The Killers. Das Molotow ist ein 1990 gegründeter Musik-Club im Hamburger Stadtteil St. Pauli. Der Club ist eine gemütliche Location für den besten Indierock der Stadt! Direkt neben der Reeperbahn gelegen, verspricht der Keller super Bands bei super Stimmung. Im Molotow finden regelmäßig Konzerte von Bands aus verschiedenen musikalischen Richtungen wie Indie, Punk, Post-Rock sowie Poetry Slams, Partys aus dem Rock-, Pop- und Elektrobereich sowie andere Veranstaltungen statt. Außerdem ist das Molotow einer der Clubs, in denen das Reeperbahnfestival stattfindet. Veranstaltungsort ist der Kellerraum des Molotow, der Platz für etwa 300 Leute bietet. Zu den Bands, die - oft vor ihrem kommerziellen Durchbruch - im Molotow gespielt haben, zählen The White Stripes, Die Toten Hosen, The Hives, Bright Eyes, Wir (...) Show more sind Helden, Mando Diao und The Killers.